In fact, it’s one of the world’s most influential psychological and spiritual typing systems — one that has the capacity to accelerate your personal growth and spiritual evolution. And there’s no one better to guide you in essential practices which activate the transformative power of of the Enneagram — so you can embody your potential — than Jessica Dibb. On Wednesday, September 28, this respected consciousness teacher, breathwork trainer and Enneagram “depth teacher” is presenting a FREE event hosted by the Shift Network: The Experiential Enneagram: 3 Practices for Opening to More Love, Wisdom & Presence. In the Experiential Enneagram, you’ll learn how experiential Enneagram practices can help liberate you from the limitations of your “type” and infuse the essential qualities of love, wisdom, and presence into your daily life. We hope you’ll join us for this illuminating hour-long free event! 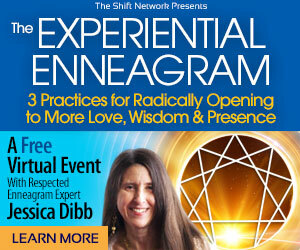 When you register for The Experiential Enneagram: 3 Practices for Opening to More Love, Wisdom & Presence — featuring renowned teacher Jessica Dibb — you’ll also receive the audio recording of the event.